This site is devoted to development of the open-source hardware and software micro-robotic platform in the size of less-then-3cm-cube. The main goal of this project is to develop a cheap, reliable and swarm-capable micro-robot that can be easily reproduced even at home. This robot allows building a large-scale swarm system (100 and more robots) to investigate artificial self-organization, emergent phenomena, control in large robotic groups and so on. This research is important to understand underlying principle of information and knowledge processing, adaptation and learning for the design and development of very limited autonomous systems. 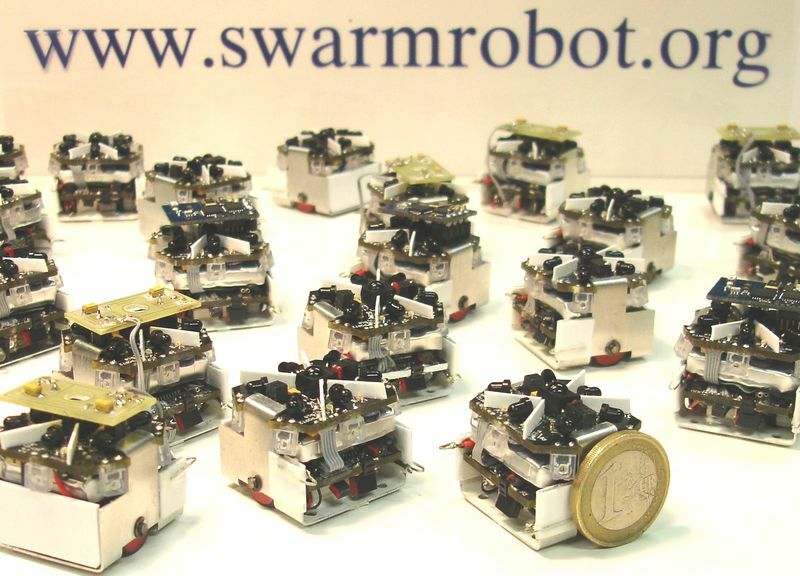 Since 21.11.2012 University of Stuttgart cancelled hosting of the open-source Swarmrobot Project (see here). 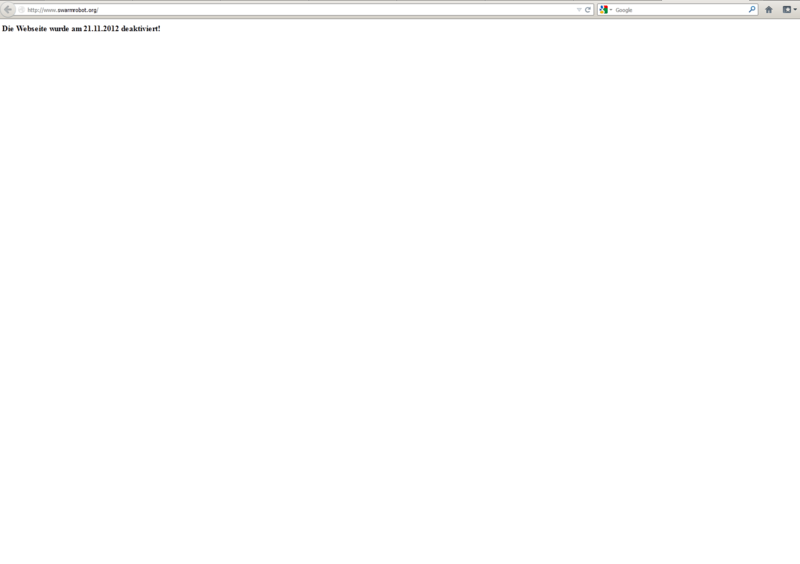 The project is moved to an independent web space.